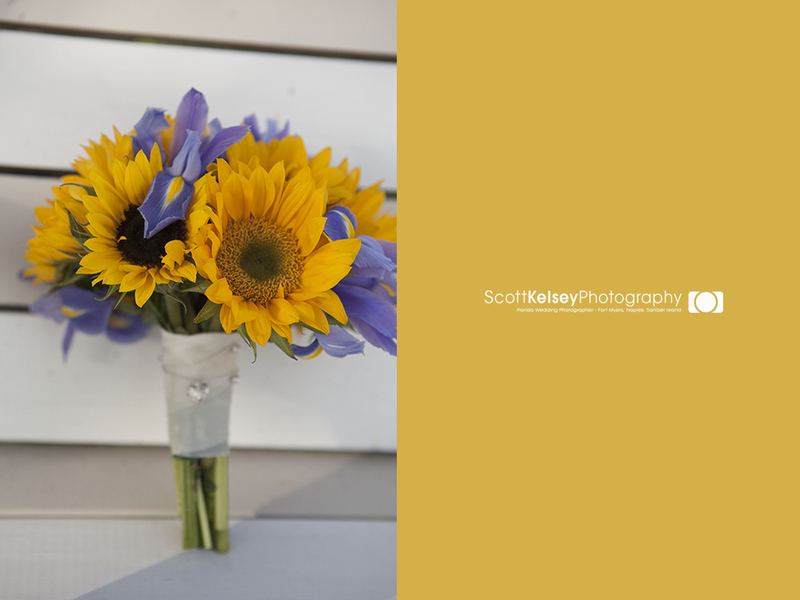 Sunflowers at sunset. 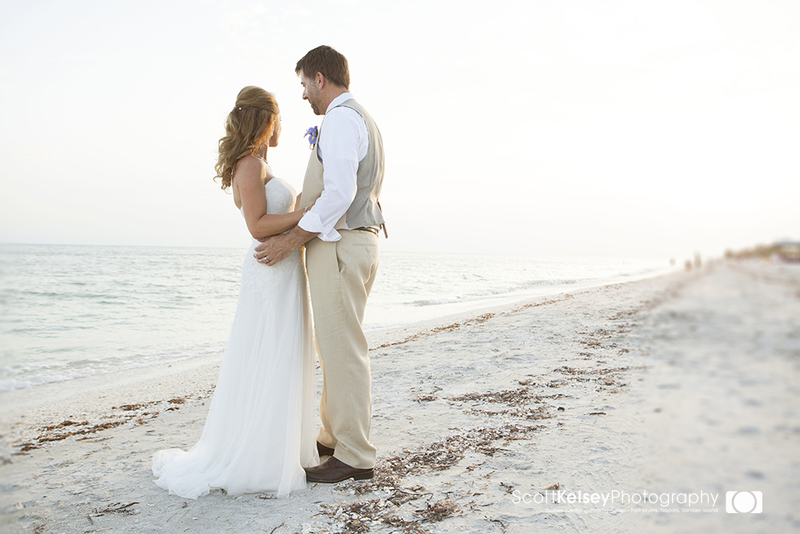 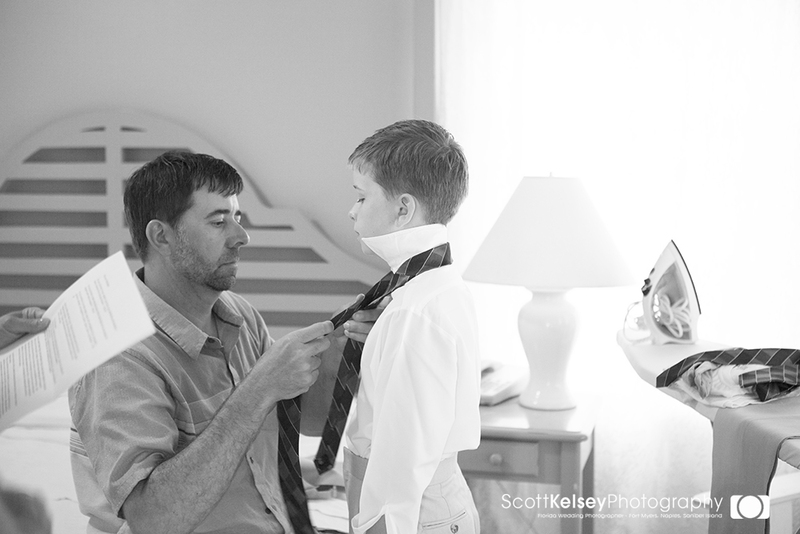 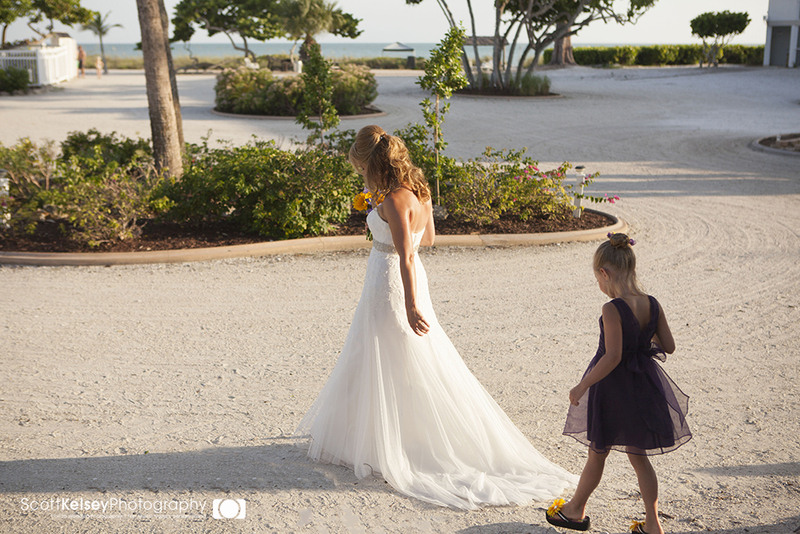 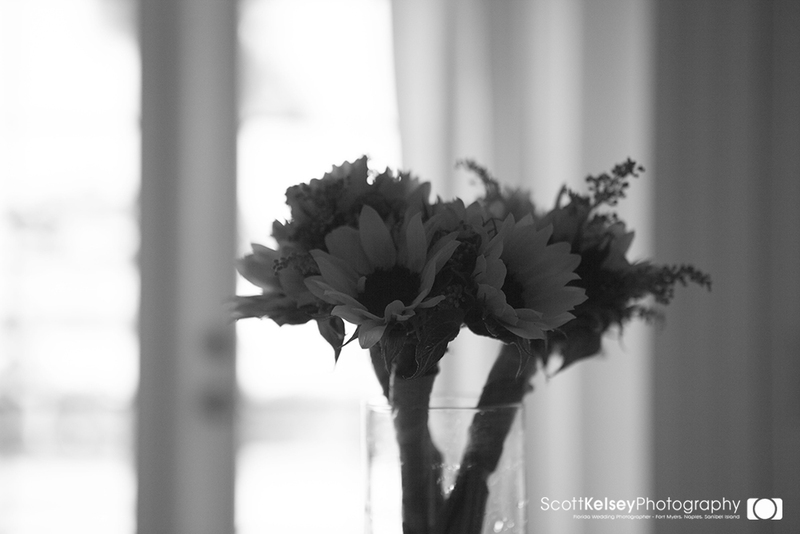 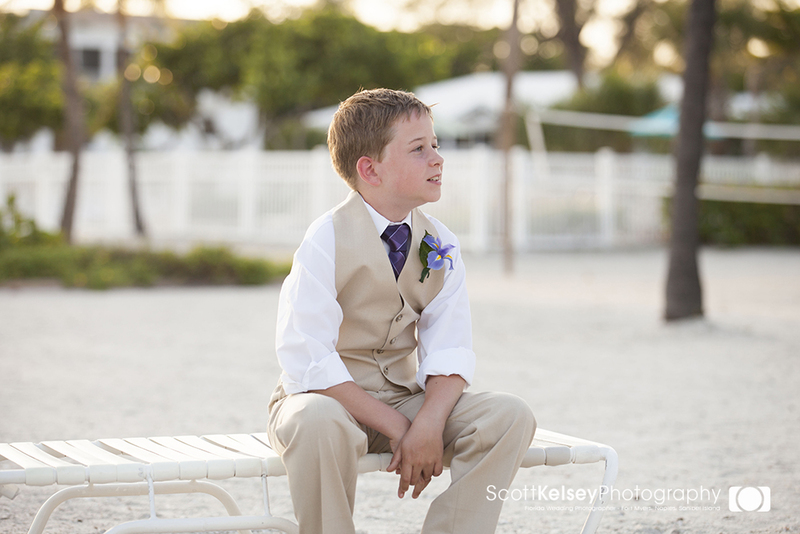 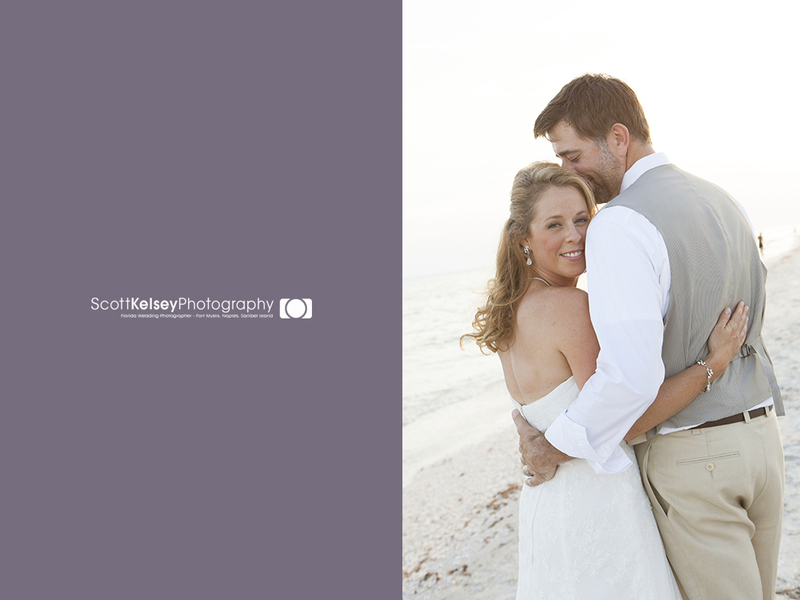 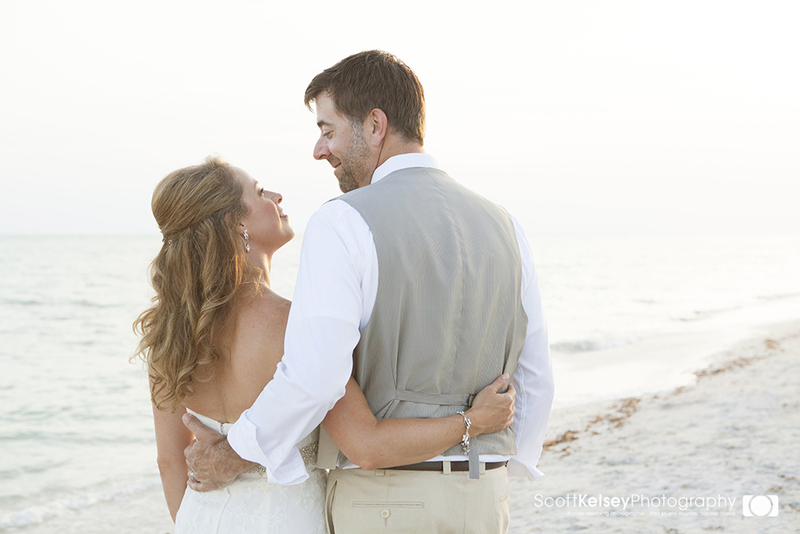 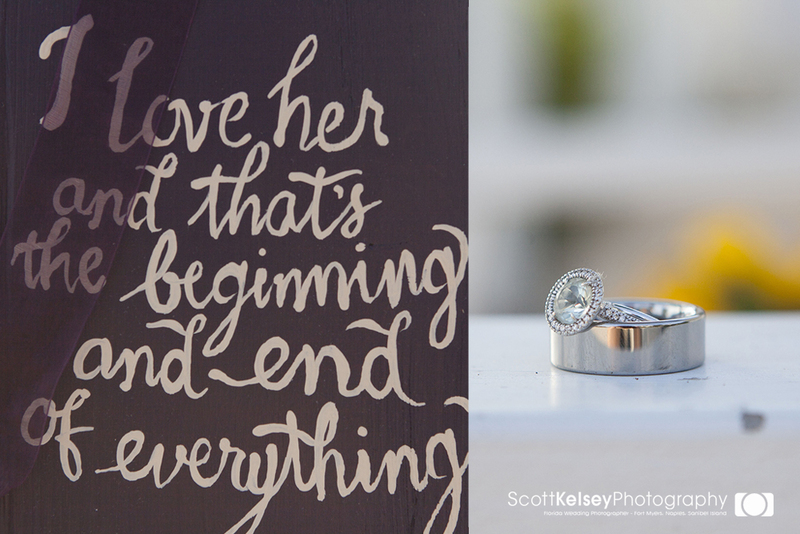 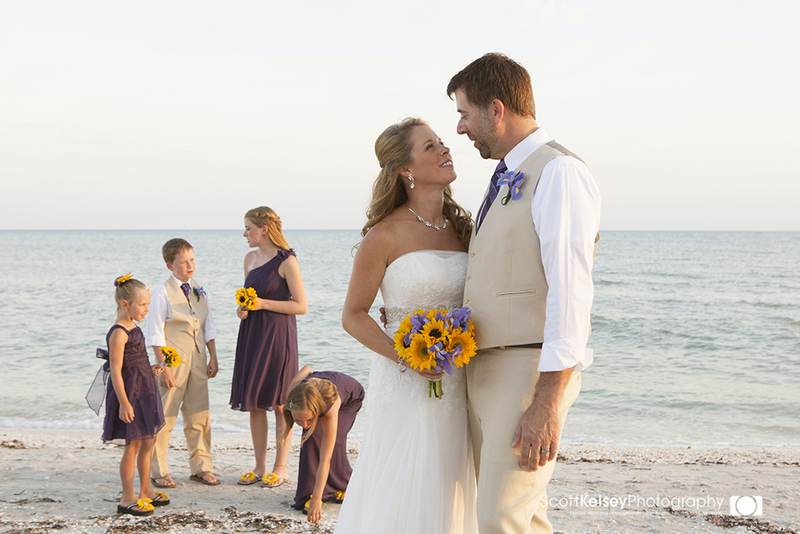 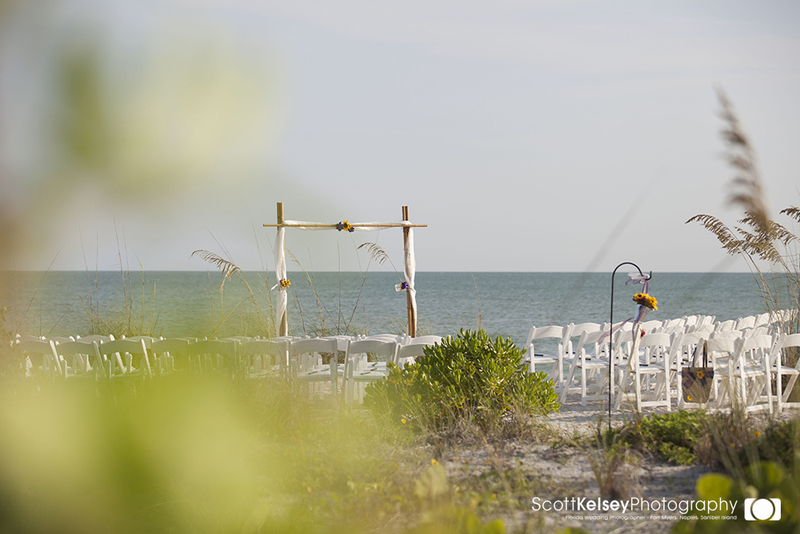 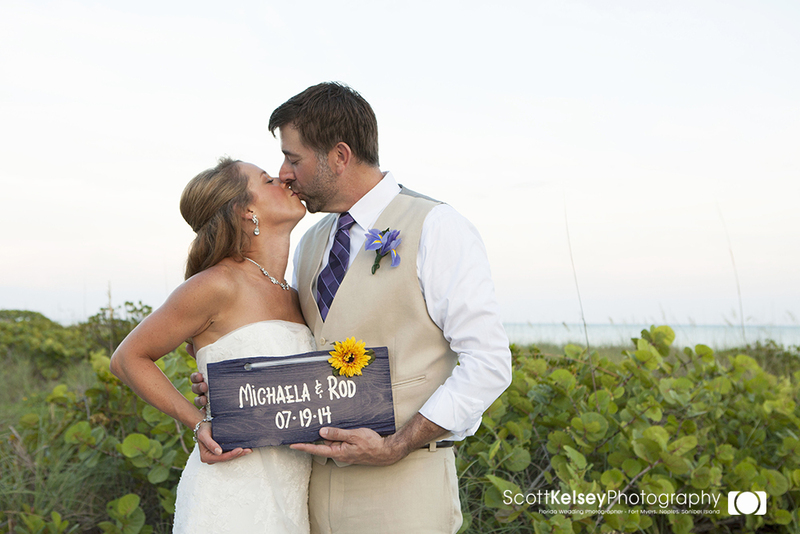 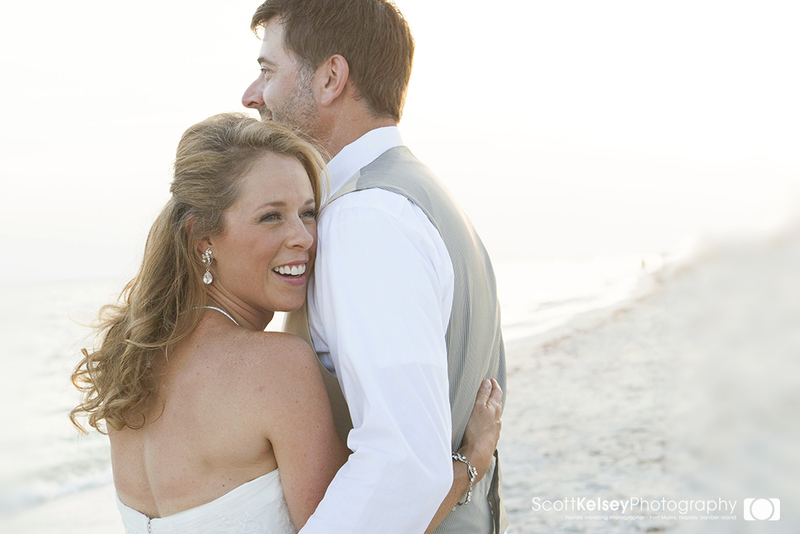 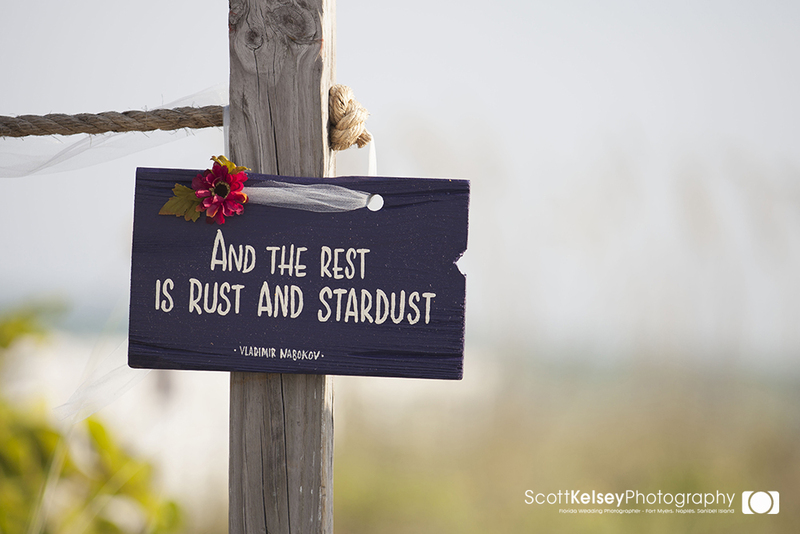 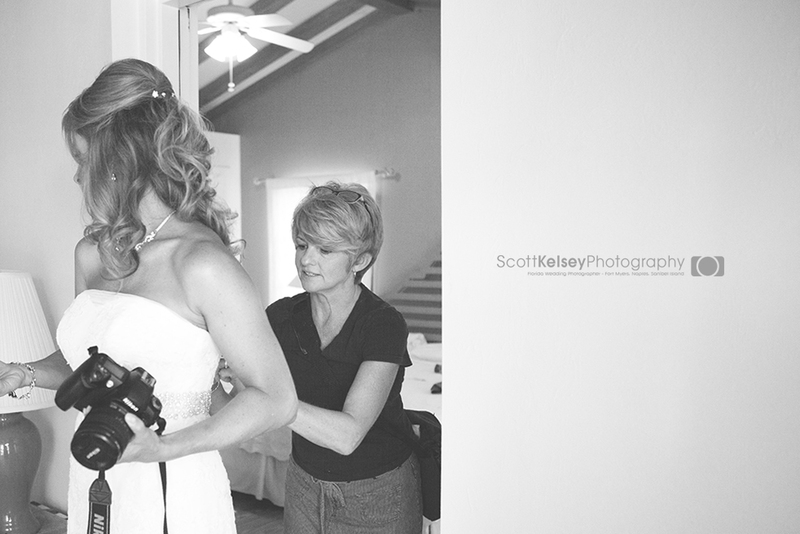 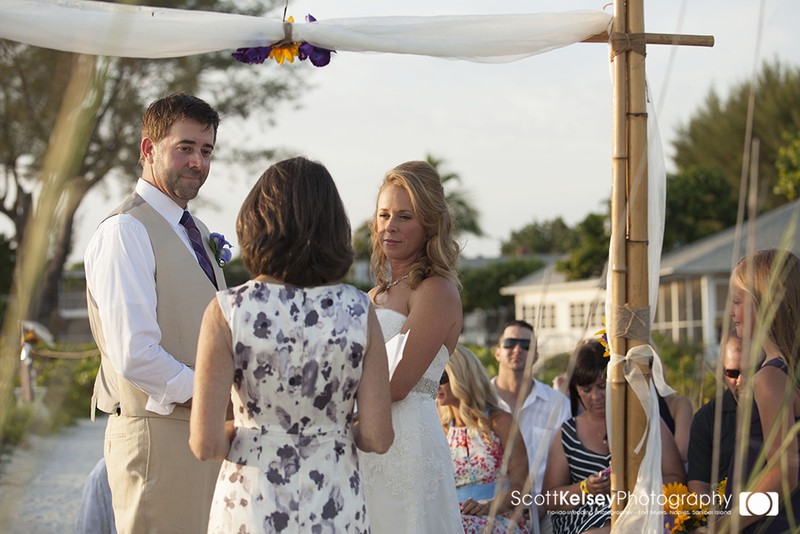 Rod and Michaela tie the knot on one of Sanibel’s most beautiful destinations. 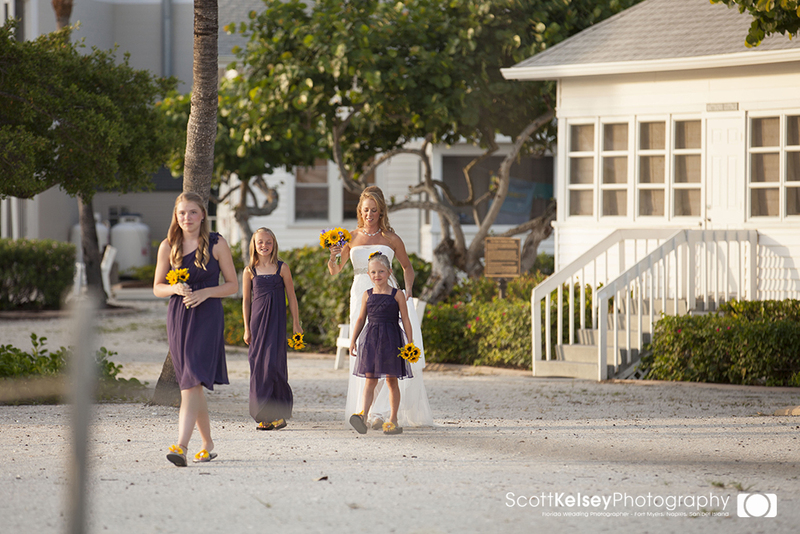 The newly renovated Island Inn beachfront resort rest on 10 acres and has that old Florida charm. 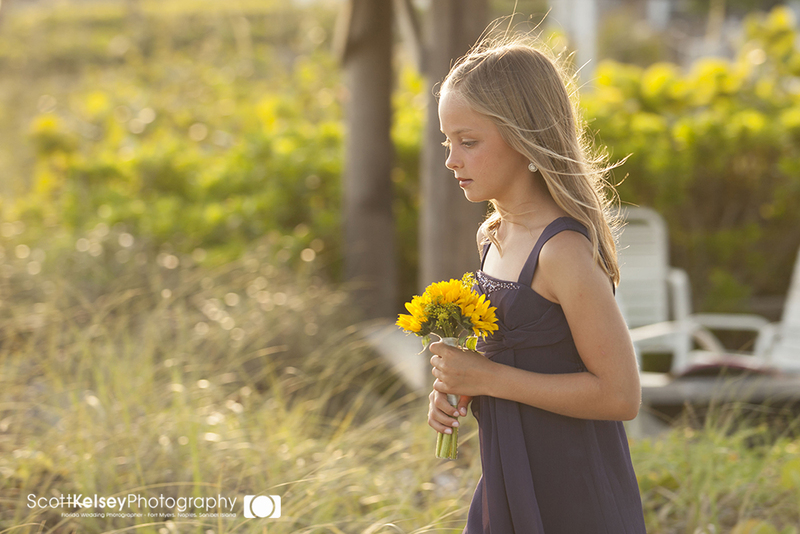 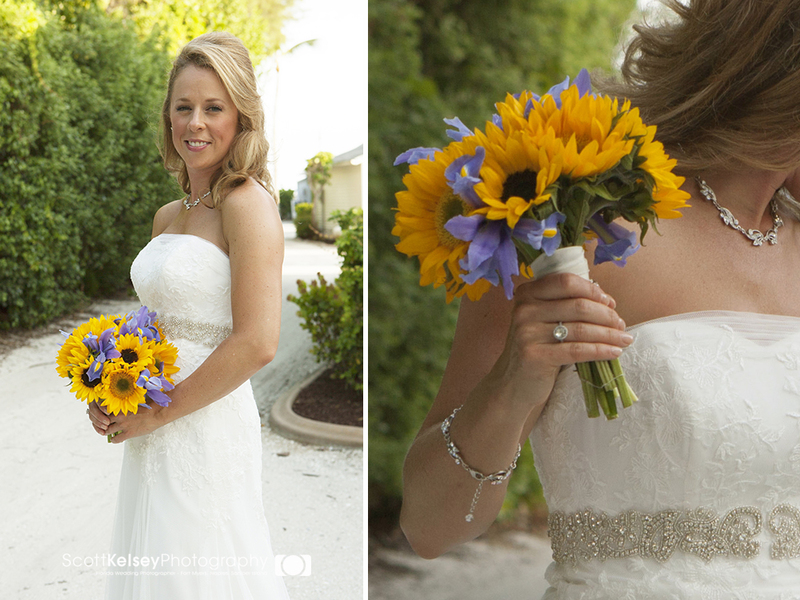 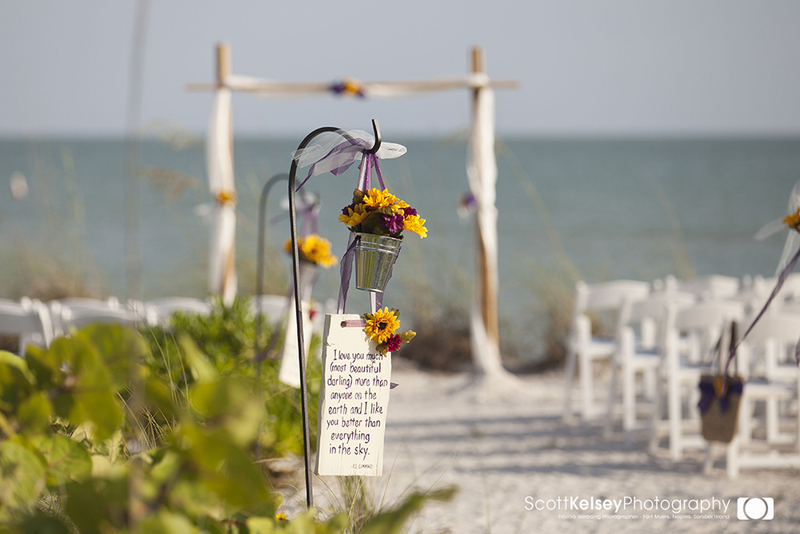 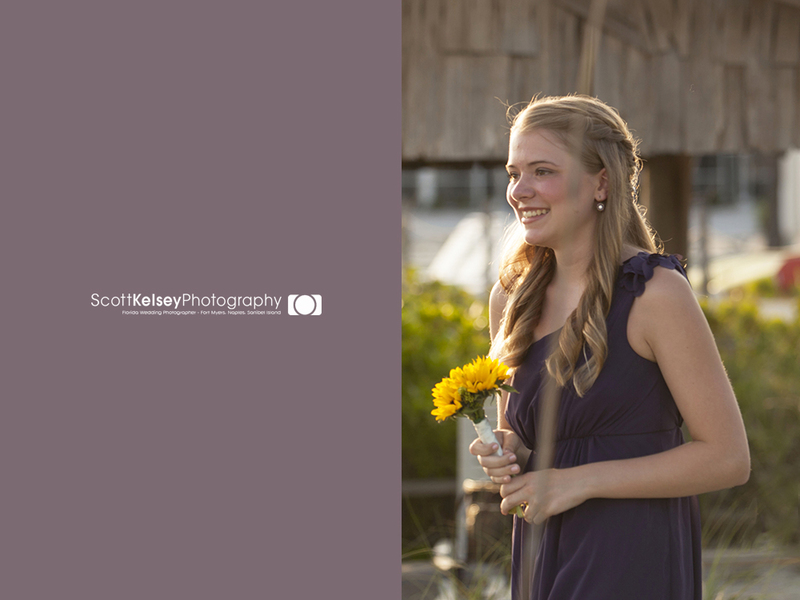 The ceremony setting was decorated with bright yellow sunflowers and purple signs and ribbon. 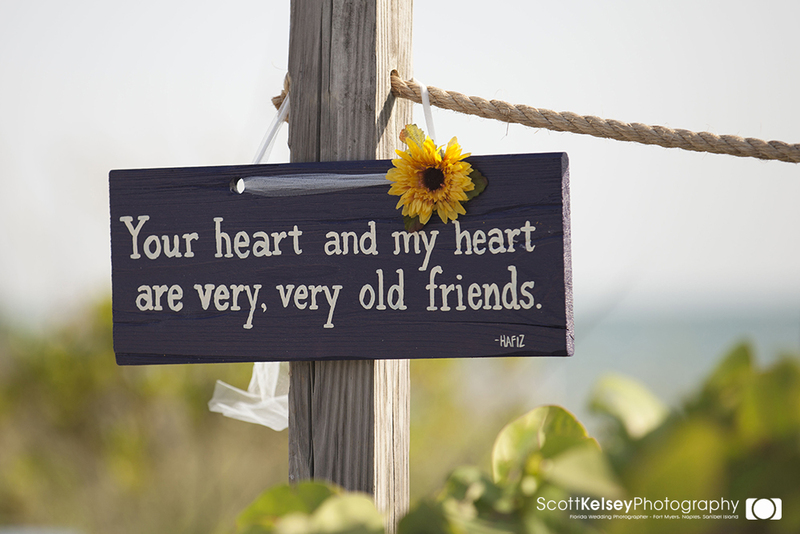 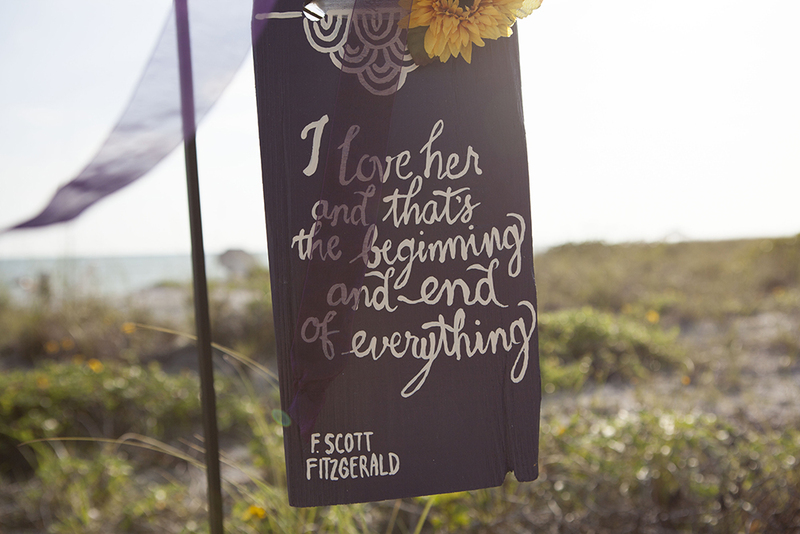 The aisle was lined with hand-painted signs (by the groom) with sweet messages and quotes that made everyone smile.